Four months on from claiming her first grand slam title in remarkable circumstances at the US Open, where Serena Williams' extraordinary row with chair umpire Carlos Ramos overshadowed proceedings, Osaka secured another major honour with victory over Petra Kvitova on Saturday. Still only 21, the Japanese now tops the WTA rankings and appears to have the brightest of futures ahead of her. Osaka has openly admitted she is not comfortable making speeches and cut a somewhat uneasy figure in the trophy presentation at Melbourne Park, but Simon Chadwick, Professor of Sports Enterprise at the University of Salford, feels her authenticity and humility could well prove attractive to potential sponsors. "She [Osaka] is unused to talking, maybe lacks confidence. There are two ways to spin that," Chadwick told Omnisport. "The first is that she will improve, she needs to mature and there can be a certain amount of coaching around that. But the other way is that this shyness, this nervousness, gives her a very down-to-earth feel as a brand. "And it may well be that this kind of down-to-earth feel and very humble way of speaking is something that enables her advisers to position her in a way that does engage with ordinary people. There are some very interesting brand management challenges there. "The way she reacted when she beat Williams in the US Open final – her respect and her graciousness and almost embarrassment is something almost unique, I think, in elite professional sport. And it may be that this is something very new and different and very compelling, for markets like Japan in particular, but maybe globally. "We're very used to our sports stars being brash and confident and perhaps Osaka opens up some new market opportunities for brands that are much more kind of 'lo-fi', if we can put it that way. They're not brash and in your face, they're much more egalitarian and respectful and down-to-earth. There might be brands of that nature that see a real benefit to how Osaka is and the way that she deals with things like speeches. "Irrespective of Naomi Osaka, I think we live in really changing times. And so, some of these big-name, fast-talking, brash elite professional sport stars that we've seen, I just wonder if there's a new generation that is potentially more low-key... they're looking for different things from their celebrities. They're not looking for [Cristiano] Ronaldo taking his shirt off and ruffling his muscles. They're looking for a very different set of values." Noting that "the main contributing factor to the commercial longevity of any athlete is success", Chadwick made it clear achievements on the court will naturally have the greatest impact on Osaka's future marketability. 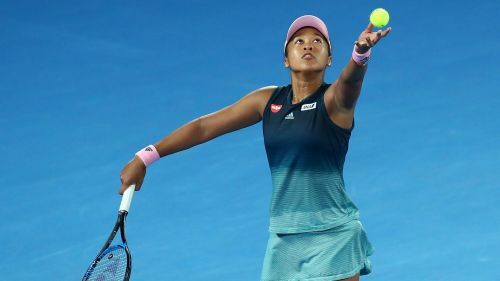 In the wake of her Australian Open success, she has already been touted as the potential face of the Tokyo 2020 Olympics, but that will depend to a significant extent on whether Osaka can keep on winning. "In tennis terms, I guess there is a vacant slot for the world's most valuable female tennis player," Chadwick added. "The Williams sisters are coming towards the end of their careers, their brands are very different now to how they used to be and in terms of a young, dynamic presence in female tennis who can appeal to a new generation of consumers, there isn't really anybody right now that's grabbing the attention like Osaka. "And really what I'm talking about is all those late millennial consumers, those who are in their mid to late 20s, but also 'Generation Z' consumers too, those born after 2000. They'll be the people who will potentially be identifying with Osaka by the time she is 25, 26, 27... but she needs to be successful. "For me, she needs to win some more grand slams, obviously. It's going to be interesting to see how she performs on clay and grass. If she can win the French Open or Wimbledon either this year or next, that really sets her up to capitalise on the platform that Tokyo 2020 will give her. "I suspect that inevitably in Tokyo she's going to draw a huge amount of attention from a domestic audience. We're talking about the third biggest economy in the world, 120 million people, so a huge marketplace. [ATP Tour star Kei] Nishikori helps too, because he's created that point of engagement for Japanese fans, and so have the Uniqlo sponsorship deals. "So, the stars are lining up for her. The onus is now upon her to make sure she maintains the momentum so that when the Tokyo Olympics come around, she is in position to take advantage of what will come along. That will come not only in terms of deals in Japan, but if she is able to cement her position as a global star, then the big commercial deals will start to flow in."